Seeing the Salvation Army Band on last month’s magazine cover reminded me of this picture taken 47years ago in 1964. As is still the tradition, the band is playing or preparing to play on Feast Sunday afternoon. Then, as now, the local lads have climbed onto the village pump while others are milling around chatting. 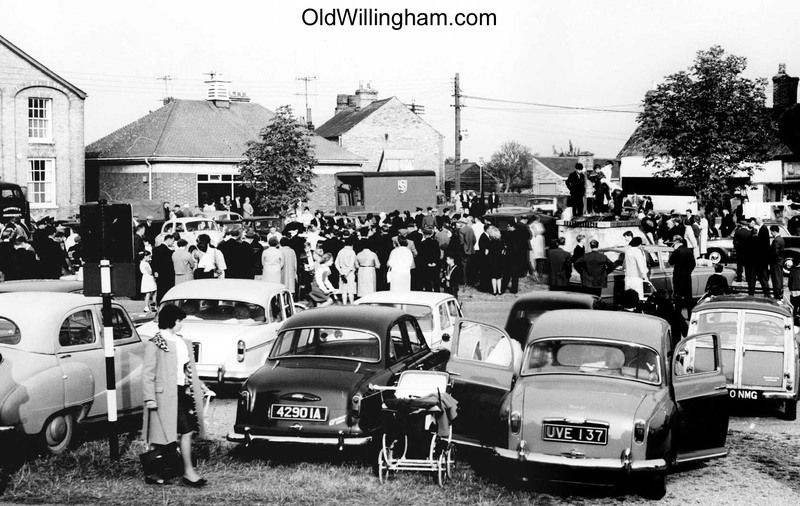 Unlike now, the village green has become a car park because a driveway ran across it – and was only recently removed. The truck parked outside the library is from Stanley Thurston’s funfair. The fair lorries used to park along Church St. ready to set up once the Sunday Services were done.